A few days before Alan turned six weeks old in 1989, his mother kissed his forehead and noticed it was unusually salty-tasting. After a discussion with the doctor, he was tested and then diagnosed with cystic fibrosis, a hereditary disease that doesn't allow the chloride channel in cells to function properly, leading to the build-up of thick mucus, particularly in the lungs and pancreas. It was evident from the beginning that Alan was smart, but it took a while for his parents to realize just how intelligent he really was. He scored in the 99.9th percentile in the nation on the Stanford Achievement Test. Many academic awards including the "Presidential Academic Award"
At the age of 12, he taught himself HTML, CSS, and other programming languages and made his own website ("Scooby Dood" link below). At 13, he made websites for local small businesses. Alan battled lung infections off and on throughout his entire childhood. The infections led to irreversible lung damage that required a double-lung transplant for survival. He got his "new lungs" two days before his eleventh birthday. Eventually, chronic rejection set in and he was re-listed for another transplant. Three-and-a-half years after his first transplant, he received the blessing of a second "gift of life." Sadly, he developed a multi-resistant bacteria in his lungs, which led to his death ten months after his second transplant. The Alabama House of Representatives passed a resolution commending Alan for outstanding courage and stated, "With help from his steadfast faith in God to triumph over this disease, Alan exhibits a level of courage that goes beyond the ordinary and has used his life to reach out to others with dignity and strength in the face of adversity." It also stated that Alan "earned the respect and admiration of countless individuals through his amazing mix of courage, love, and faith." With everything Alan went through, he consistently kept a good attitude and put other people's feelings and needs before his own. He was a strong young man who did everything he could to live, but when God whispered his name to join Him in heaven on December 10, 2004 at the age of 15, he followed His voice with acceptance and peace. Throughout Alan's life he inspired many people with his determination, intelligence, kindness, and fun-loving personality. He is greatly missed by all who knew him, especially his Mom and Dad, Marilyn and Bob, and younger brothers, Eric and Colin. 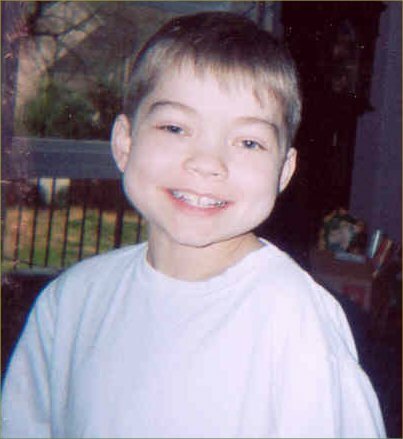 Alan's transplant journey - On-line journal written by Alan's Mom. Many people followed his progress, but he never understood why anyone would want to go to "that boring website" to read about his health. Alan Lott Outstanding Character Award - An award is given to a freshman each year at Scottsboro High School in memory of Alan. Scooby Dood's Neopets Tips - This is Alan's website that he created all by himself starting at the age of 12 by teaching himself HTML, CSS, and other programming languages. This one was not boring!